It’s an interesting time to be writing an issue devoted to RFID. So much has changed for libraries in the last decade. Ten years ago, it seemed like RFID was poised to take off and become a standard piece of library technology. But standards were slow to develop, and e-books were not. While libraries waited for RFID standards to develop, the iPad and Kindle emerged. As a result, libraries are struggling more with DRM, discovery interfaces, and patron authentication systems than with new technologies focused on their physical material. Today, RFID systems are nothing more than glorified barcodes largely because libraries think that storing only the barcode on the tag is the best way to ensure patron privacy and because the ILS (integrated library system) doesn’t support doing much with the tag besides reading the barcode anyway. To make financial sense, libraries must use RFID more expansively and expansion relies on taking advantage of the new standard. Existing and new systems will have to migrate to the new standard to ensure vendor interoperability and interoperability between libraries. 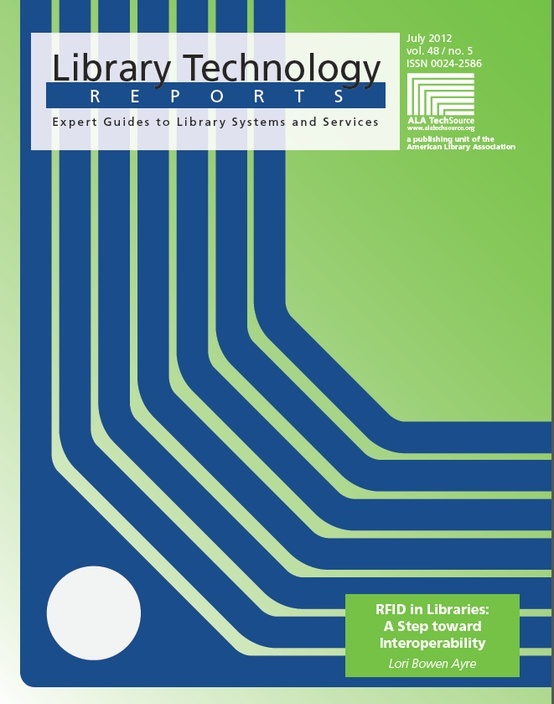 To protect their investment in RFID, libraries need to insist that vendors comply with the new standards to ensure their systems are interoperable with any vendor’s hardware. RFID could be a powerful technology that could change how libraries deal with physical material as well as leverage digital technologies to offer new services. RFID tags will soon be readable by smartphones, but to take advantage, libraries will need to develop new, patron-centric RFID applications. The fertile ground for RFID adoption is in moving beyond RFID-as-barcode. It may or may not happen. My hope in writing this issue is that libraries will understand how hobbled our use of RFID in libraries is today. If we, as an industry, choose to invest further in this technology, we need to extend the use of RFID beyond circulation and security to resource sharing, materials handling, technical services, and beyond—into wholly new ways that will delight our patrons.